While Tamarindo offers a variety of activities that cater to locals and tourists alike, there are a some little-known “insider secrets” that are not obvious to short-stay vacationers. 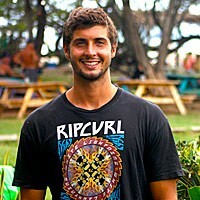 Ask any tour group in the area what there is to do, and they will ramble off a list of volcano tours, zip lining treks, and all-day catamaran parties. Don’t get me wrong, all these activities are worthwhile and will stoke your sense of adventure, but if you are looking to stay local, save some green, and find your own adventure, this 3 part series will aid you in your search. With each part of this series, we will give some free activities, some almost free activities, and some fun, affordable activities that won’t burn a hole in your wallet. Enjoy. With almost 2 miles of undeveloped beach located just to our north, Playa Grande hosts some of the best, most uncrowded beach break peaks in the area. Just cross the river (by boat or by board) and start your search. The main peak in Grande is about 30 minutes further up the beach, but that doesn’t mean you won’t stumble upon your own wave oasis along the way. The southerly facing angle of the beach allows for swell to directly impact the region so the waves are usually bigger, better formed, and pack more of a punch. Tip: Playa Grande works the best on Mid-High tide. The empty shores of Playa Grande await..
Can’t decide on which restaurant or bar scene you want to check out? 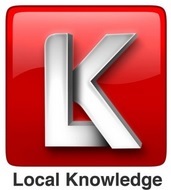 Not a problem, all the local knowledge you need is just a few clicks away! 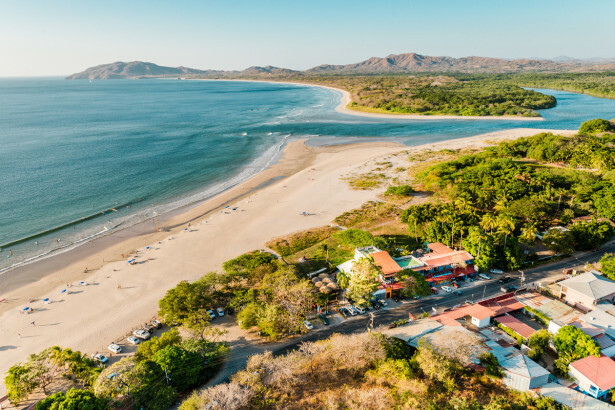 Developed and launched just a few months ago by a Tamarindo local, this free application provides users with all kinds of Tamarindo info that only a long term resident would know. For example, which restaurants are the best; what are some nearby attractions; and what nights are good to go out and where. This app provides you with instant access to all of Tamarindo’s local knowledge. With all this heat, you need to cool off somehow..right? 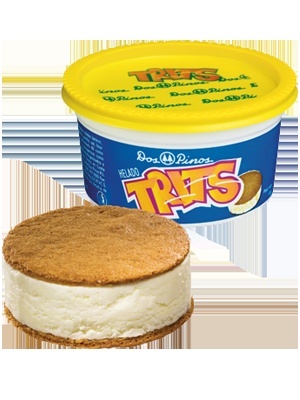 And what better way to do so than with this Costa Rican born ice-cream concoction known as “Trits”. Essentially, this melt-in-your-mouth treat is a generous portion of vanilla ice cream lovingly embraced between two sugary graham crackers with a small dollop of chocolate sauce thrown in for good measure. Calling it an ice-cream sandwich would be a cop out.. Tips: Sold as most convenient stores for about $2. Looking for some G-rated family fun? Then look no further than Las Bolas Locas (Crazy Balls) Mini-Golf Course located behind the Banco Nacional right on the edge of Tamarindo. Having just celebrated their 1 year anniversary last month, Bolas Locas is a well-maintained, well managed course with a unique set-up and some cleverly designed holes. Follow the signs throughout Tamarindo that say “Mini-Golf.” It’s the only one in town. Tip: Sink a hole-in-one on hole #18 and receive a FREE round of golf! With a little bit of luck and adventure, you may stumble upon this authentic Italian restaurant gem. Located off the main drag of Tamarindo and up a sneaky left turn, La Baula Pizza has been serving some of the tastiest, thin-crust, pizza for over a decade. Cooked in a woodfire oven to perfection, La Baula offers a variety of pizzas sure to satisfy all members of the family. Who doesn’t like pizza? Tip: If you don’t know where to go, get a cab, ask a local, or follow the Mini-Golf signs. The food is worth the search.